This bike is all about performance and lightweight. It is the most technical fixed gear / singlespeed that 8bar ever released! This is our only frame that we especially designed for women. 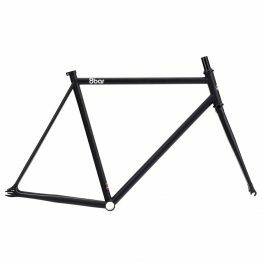 It has the same specs as the normal FHAIN, but a geometry that perfectly fits female riders. The 8bar FHAIN offers you high quality for a reasonable price. It feels just as comfortable to ride in city traffic as to race through tight turns on the race track. With it’s aggressive and unique geometry it is perfect for busy roads but also for fast criterium races. 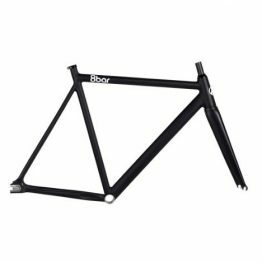 The frame is build of the best materials and together with the full tapered carbon fork this frame is lighter then ever. The low pro geometry gives your bike a unique look. 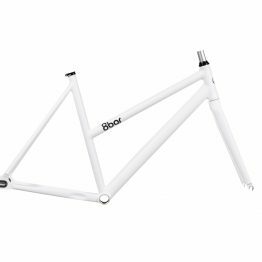 CrMo frame that offers you more comfort compared to our aluminium frames.